Auction season is upon us, and it is time to see what sort of numbers collector cars will bring out in Scottsdale. This particular weekend is unlike other automotive-focused weekends as you won’t find a big concours attached to this event. The main focus is on buying and selling cars, but that does not detract from the myriad of incredible metal you’ll see circulating in the desert. As always, all of the large auction houses are represented in Scottsdale and there’s a lot to do and see surrounding the cars. 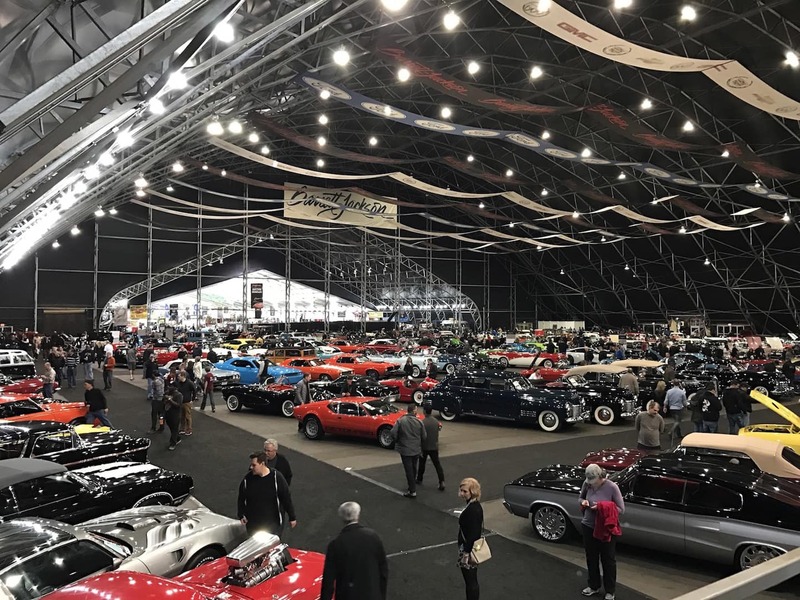 Barrett Jackson specializes in moving massive quantity of lots largely focused muscle and American cars, although many different types of cars cross their block. The auction schedule for Friday and Saturday begins at 9AM and continues until the auction closes; Sunday’s auction begins at 11AM. In addition to the main auctions found in the main pavilion, Barrett has many events going on to keep you occupied. Restoration Row takes place outside north of the pre-staging lines. You can actually see restoration in progress as several cars are being restored live. If you’re looking to learn something interesting about car collecting, we’d recommend checking out the ‘Behind the Hobby’ symposium with Wayne Carini on Friday from 9AM-10AM in the Equidome. Check out Barrett Jackson’s website to learn more about the schedule and other events. 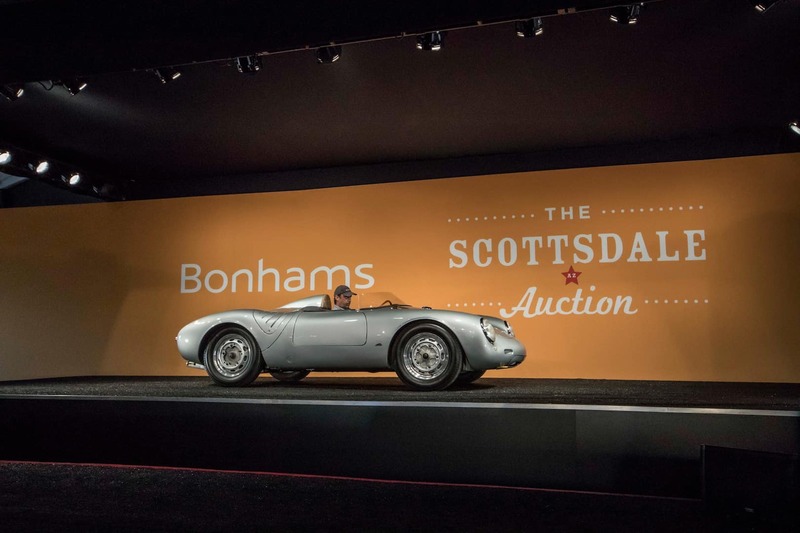 Taking place at the Biltmore Resort on Thursday and Friday, RM Sotheby’s is looking to kick off the auction season by topping last year’s incredible sales of $36,523,620. RM has all lots available to be viewed by the public from 10AM-5:30PM with the auction beginning in the evening at 5:30PM. The best part about attending this auction, even as a spectator, is the access you are granted to both cars and RM’s host of experts to learn more about the auction lots. RM themselves describe the auction offerings as, “span[ning] the spectrum of the market, from pre-war classics and contemporary supercars through important sports and racing cars.” There will be something for every enthusiast at the Biltmore, and it is well worth the visit. More details may be found on RM’s site. Gooding’s auction will take place on Friday and Saturday from 11AM onward. Viewing is everyday this week from 9AM-6PM on except on Saturday which has hours from 9AM-5PM. As usual with Gooding, there is a $40 charge for singular admittance and $100 for double admittance plus a copy of the auction catalogue, which is a thing of beauty. More details can easily be found on Gooding’s website. 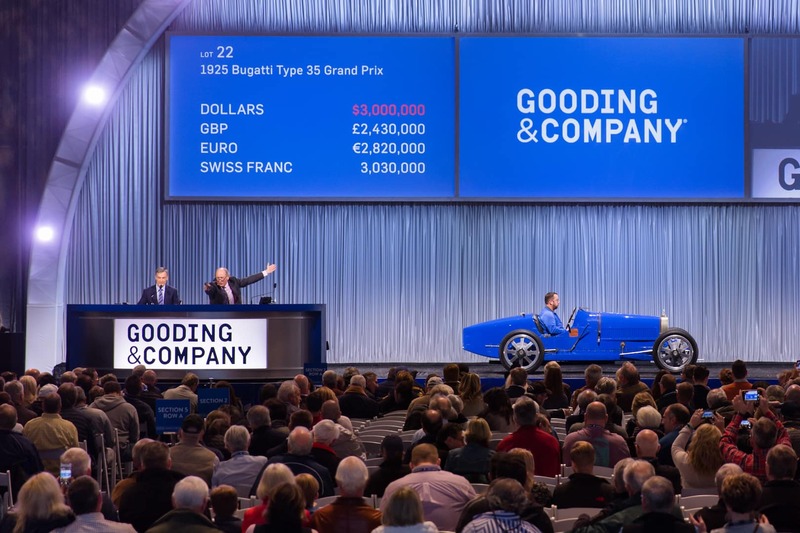 The cost of entrance here is much less than the price of admittance to most concours quality shows, of which all of Gooding’s offerings are likely to parallel in rarity and quality. The auction and viewing will take place in the Fashion Square Mall in Old Town Scottsdale. UK-based Bonhams is an auction house that always delivers on exceptional cars. Although some of the other auction houses have incredible cars to offer, Bonhams assures some very special offerings that are worth viewing, such as the Ferrari 500 Mondial Series I Spider that crossed paths with John von Neumann, James Dean, and Phil Hill. Other intriguing offerings include a Lamborghini Muria SV, a Bugatti EB110GT, a gorgeous Aston Martin DB5, a Porsche 904 GTS and many other cars. Although Bonhams is a smaller auction compared to the other behemoths previously mentioned, their spread is well worth seeing. The public viewing time on Thursday is from 9AM-11AM with the auction taking place at 11AM at the Westin Kierland Resort and Spa. Flick through their listings and read more about the auctions on their site. There is plenty else to do in Scottsdale on your visit. For instance, the Penske Racing Museum is well worth a visit if you have Castrol R coursing through your veins. If you’re looking to escape the exhaust fumes of the car crazed oasis, the Desert Botanical Garden might be the place to visit to take a breath of fresh air. Whatever your intentions are for your weekend in Scottsdale, there is something to occupy any every car enthusiast. Our team will be out at the auctions as well, so be sure to say hello if you see us circulating through the auction circuit. Enjoy the weekend, and let’s see what incredible steel hammers down for at the Arizona auctions!